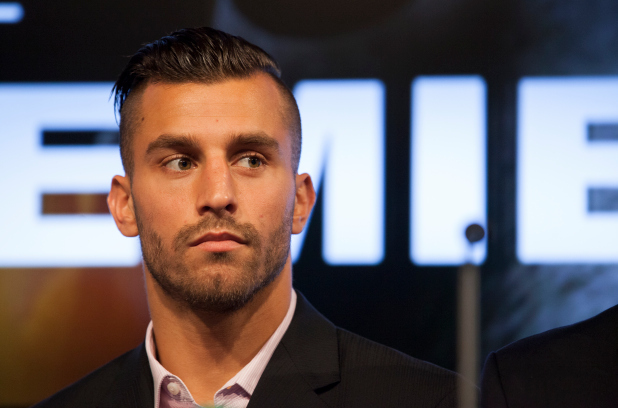 David Lemieux has, in his career, been both a rising sensation with a long KO-streak on his resume and a re-emerging contender, fighting his way back to the top of the rankings with an impressive, multi-year run. Now, following his stoppage loss to Gennady Golovkin in October 2015, he is proving to be a third-kind of mainstay in the boxing world–the still-exciting, veteran talent who is not going to go anywhere anytime soon. On Saturday night in Verona, New York, he recorded a sensational Round 3 KO of Curtis Stevenson, putting the hard-punching Brooklyn native to sleep with a stunning left hook. It was actually a scary moment at first, as Stevens was removed from the ring on a stretcher, in observance with proper KO protocols. It appears that Stevens has recovered from the stoppage. Often a quick, one-punch knockout is far less damaging than sustained barrages that lead to TKO. Lemieux was game against Golovkin, but no match for GGG in terms of strength, power and technical skill. It was a one-sided fight and not one that the public would want to see a second time. But Lemieux’s resume will continue to warrant a place in the conversation, so eventually some newer contender at 160 will calculate that the value of knocking off Lemieux outweighs the risk they see in him knocking out them. As long as that is the case, his exciting style makes him a fighter worth paying attention to. He lives in Montreal, one of the world’s great fight towns, and has a relatively big fan base compared to other top fighters. I could see him as a logical fight in the future for Jermell Charlo, the newest addition to the division, or even Canelo Alvarez, after he come back down from the 165 catchweight against Julio Cesar Chavez Jr.